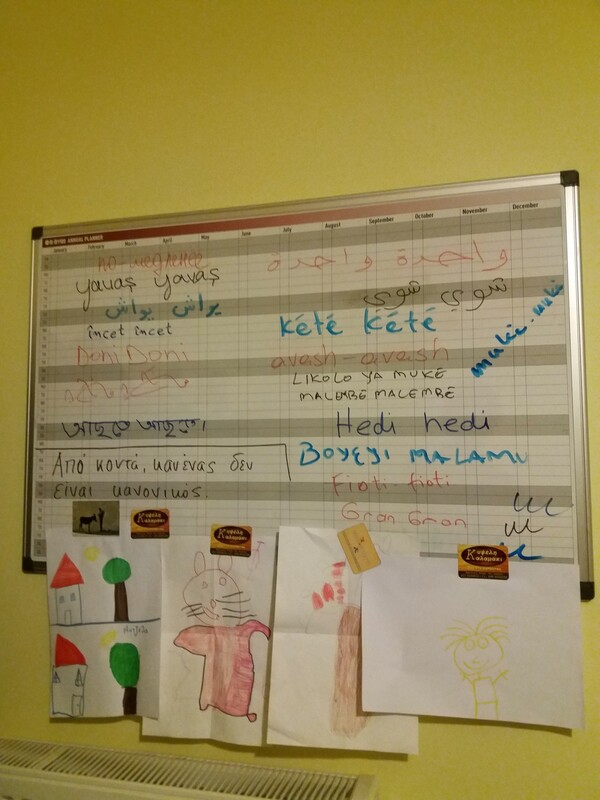 The Babel Day Care Center team, has been worked with refugees, migrants and volunteers for years. One of them is Nikos Gionakis who in the interview with for AYS warns about the conditions people are left to live in, conditions devoid of hope, and they urge for changes in order to save the world we are living in. “Closed borders do affect mental health because they mean that people are cut out from hope. 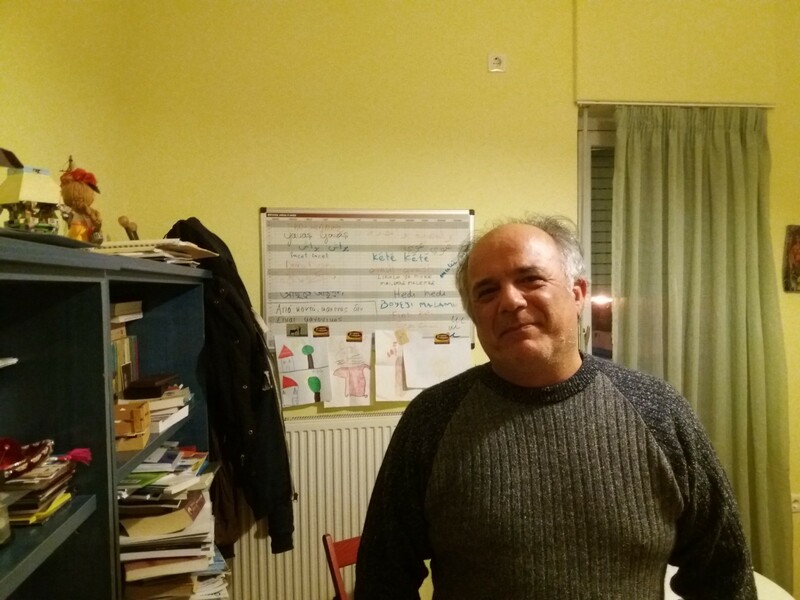 If you have hope, you can move, you can accept to do sacrifices, for some time.” This is the opinion of Nikos Gionakis, member of the the Babel Day Care Center team in Athens which has worked with refugees and migrants since 2007. With 30 years of experience in the field of mental health, including years on the “frontline” of the so-called refugee crisis, Nikos is definitely the person who should be trusted when he says that closed borders are a danger for all of us. Nikos Gionakis from the Babel Daily center works for over 30 years to help people over come trauma. He claims condition refugees are forced to live in are inhumane and that it has to be changed. 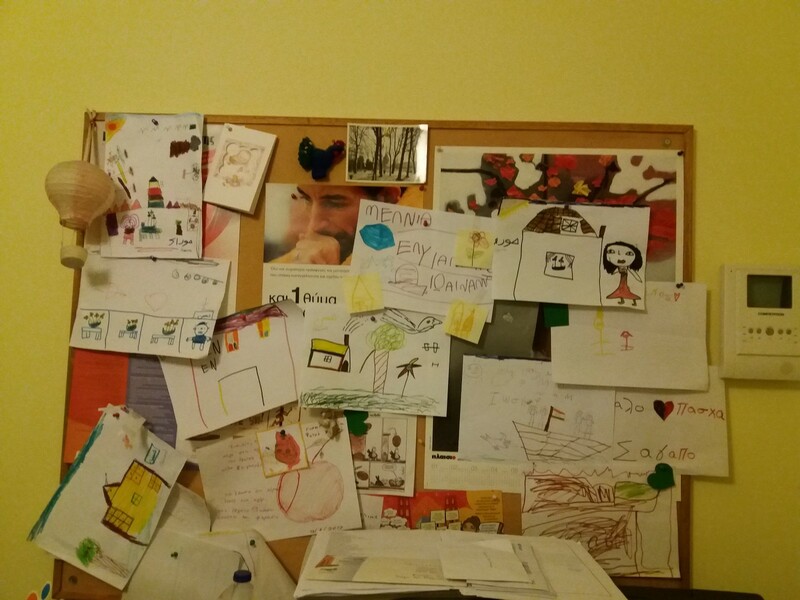 The Babel Day Care Center was established 10 years ago as part of the Syn-eirmos Social Solidarity NGO which works in the areas of social solidarity, social economy, care and mental health for children and adults. The center is open, officially, until 4pm, but we met Nikos around 6pm while the place was still full of people. These kinds of working hours have been practiced since 2015, when people started coming in big numbers. 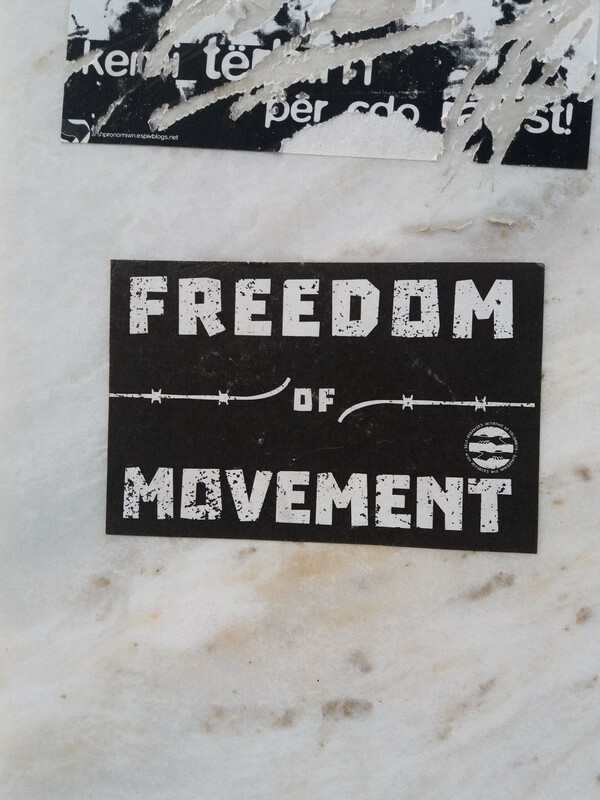 Babel team was determined to fight against this kind of attitude together with the Solidarity movement in Greece. They started creating networks in order to help to all those who were coming, but also to help those who were helping them — locals and international volunteers. Even the official politics changed, due, rather, to the pressure of arrivals than a real change in attitude. New phenomenon that rises out of the crisis is a volunteer movement comprised of people with different backgrounds, coming to Greece from all over the world and trying to help. Many of them have never had any experience in emergency situations, and never experienced trauma of such a kind. For people in the Babel Center, this was a new group they started working with. Especially vulnerable were, and still are, volunteers who were helping to people arriving on the islands. “Many of them were not used to work with people who lost their families in a shipwreck. But, who is? I spoke with some of them who were telling me about how many boats used to come in one day, and how they could not manage it, how people were in a very bad conditions, and they did not know what or how to do. The situation was very chaotic. There was no coordination or anything and volunteers were overwhelmed. Many people thought that they are there to rescue people who are victims, and if they do that, they will receive gratitude. Instead they met with very angry and frustrated people, sometimes hostile, and they did not know how to manage the situation. Some even felt it is something personal, and became angry, started shouting at refugees… They had good intentions, strong motivation, but no knowledge or skills in order to deal with the intense situation like that. A big part of our job became to support people who are taking care of others. If you want to take care of others, someone has to take care of you,” Nikos remembers. Everybody ho comes to the Babel daily center leaves something. People who are working their are trying to give something to everybody, too. But even professionals, Nikos admit, did not know how to deal with this new situation. Not only tragedy of such magnitude, but also how to help survivors who are coming from other countries, who experienced war, many losses, speak different language, had different religion beliefs… The people at Babel Center were learning while working, but also started organizing trainings and work to transfer their skills, which they do even up to this day. While talking about traumas refugees and migrants are coming with, Nikos highlights that it is important to have in mind that many of them are very angry with everything and everybody. The Babel approach is to show them how strong they are and not to look at them as victims. “Most of them are the strongest examples of resilience. I am not sure that if I were in their position, I could have done what they have done, to come to Turkey, pass over in that way, and even when they come here, to continue to struggle with things they have to every day,” Nikos said adding that the strongest among the strong are parents with children. Professionals who are working in the field are aware that without volunteers the entire situation could have been much worse, while at the same time they are warning that in some cases volunteer efforts could do harm. “As we say — the path to hell is made of good intentions. There are volunteers who come and do wonderful job, on the other hand, some come here and do what ever they want. And the main principals we should respect is do not harm. It is enough,” Nikos believes. This is a process, Nikos repeats several time. “Slowly-slowly” and the change will come is one of the main lessons the Babel staff learned. However, they urge that the approach toward the refugee crisis to be changed. The number of recent suicides and suicide attempts among the refugee and migrant population, or the increase in substance abuse, or self-harm all over Europe, is one of the consequences of living conditions and lack of information in many ways. These issues are especially present among male population. “In many cases people are doing this because they do not see other way to face their despair,” Nikos explains. The increase comes with the fact that people are losing hope. For a long time, many people believed something will change soon, but they are waiting for too long a time. 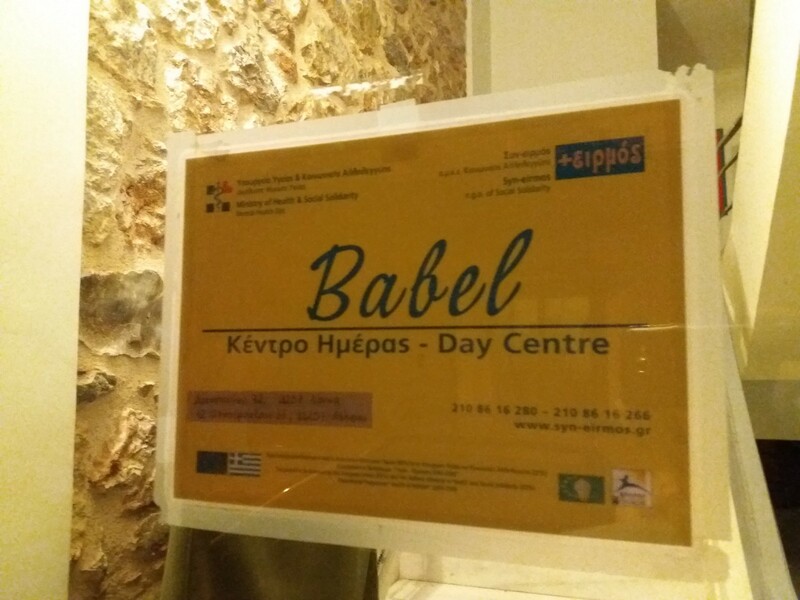 The Babel Day Care center in Athens, open for all those who need help.